The BIGGEST B2B: Business to Blogger networking and marketing event is back! 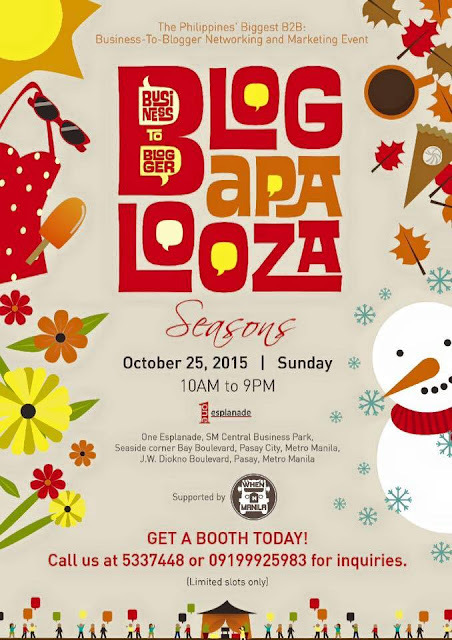 #Blogapalooza will held on October 25, 2015 (Sunday) at 10am-9pm at One Esplanade, SM Central Business Park in Pasay City. It is located near SM Mall of Asia. On its 5th year, the event has the "4 seasons" theme to talk about the different "seasons" in blogging. New registration is required even if you were already registered in the past years.